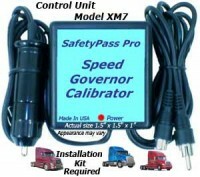 SafetyPass Pro XM7MP280 Metripack 280 Adapter Cables - Mack Trucks - Alternate connector for Kenworth. 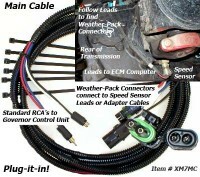 For use with Main Cable (XM7MC).Plugs into vehicle speed sensor/ECM leads using Metri-Pack 280 connectors. 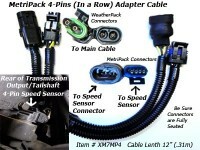 This is the Alternate Connector of choice for truck mfr's. including Kenworth. 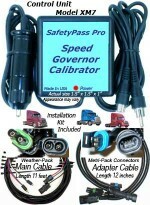 Mack Trucks also use this speed sensor connector. Cable Length: 6 inches, 0.15 meters. 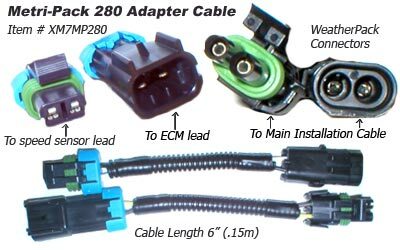 Click the button below to add the MetriPack 280 Adapter XM7MP280 to your wish list.